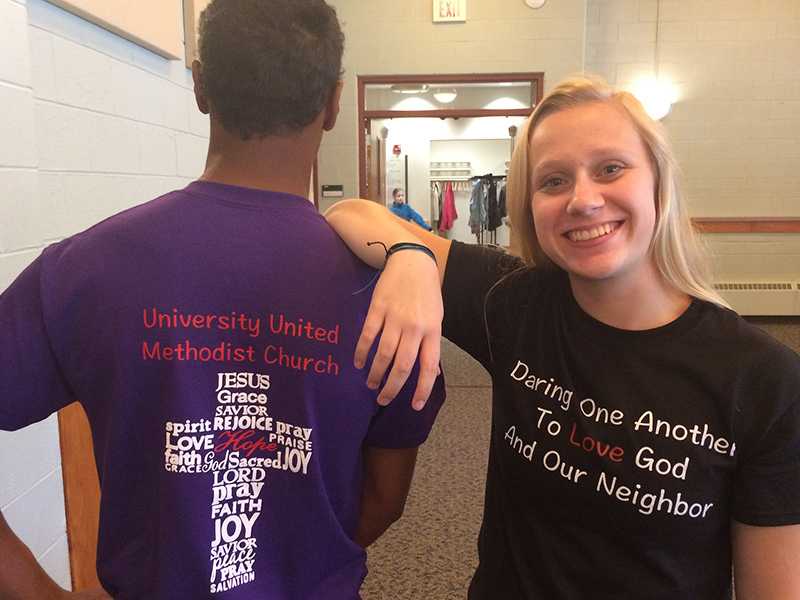 At University United Methodist Church, we provide safe spaces for children and youth to encounter God through community, scripture, and play. We invite young people to ask questions and think critically about their own faith throughout their spiritual education and journey, as they become Disciples of Jesus Christ. 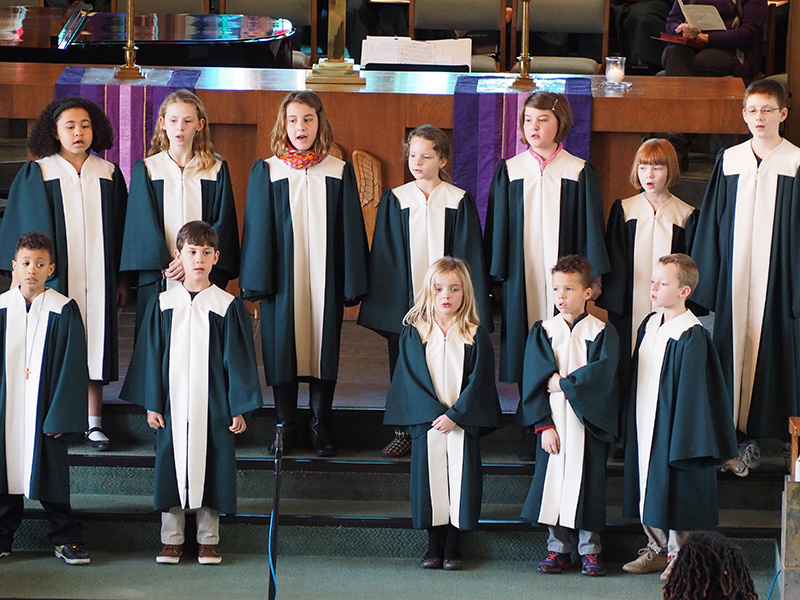 Sunday School is offered for children ages Pre-K through 6th grade. We aspire to create a safe, fun, nurturing space that meets the needs of all our children through a variety of hands-on learning. 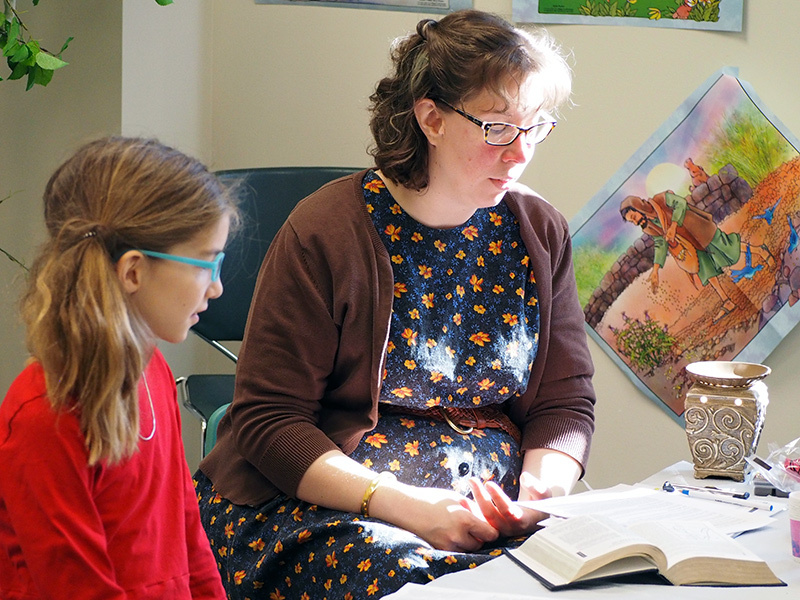 Using the Rotation Sunday School model, our children spend three to four weeks focused on one Bible story or theme. 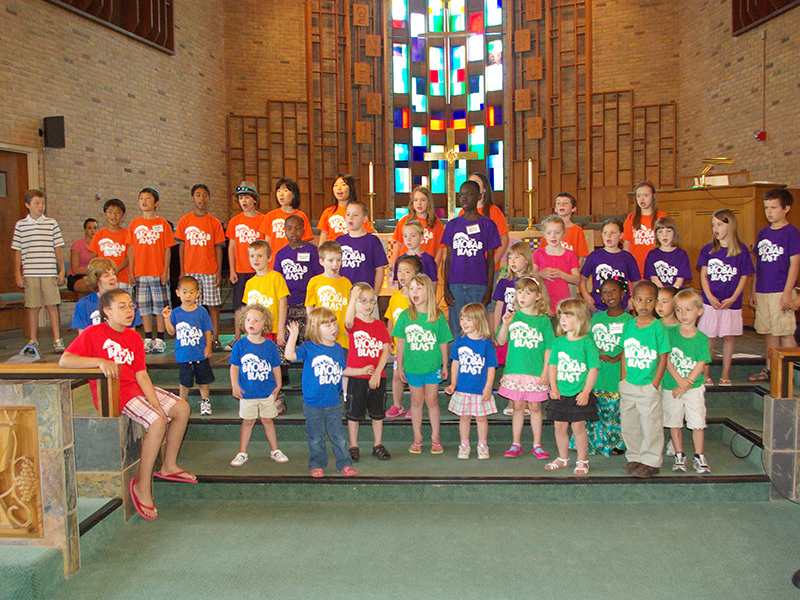 The first Sunday of each month all ages (pre-k through 6th) have class together. In the weeks following, they rotate with a class (called a Flock) of their peers to different classrooms where they learn the story through art, drama, music, audio-visual media, play, cooking, and other interactive tools. Our Sunday School is taught by a volunteer team, who all receive training and are background-checked. To remain Safe Sanctuaries compliant, we utilize a check-out system wherein authorized adults sign their children out at the end of Sunday School. There is an announcement screen in the Gathering Space behind the Sanctuary which displays the rotation workshops, Bible theme, and other family ministry news. If you would like more information about the Rotation Sunday School model or our other children’s programming, or to be added to our private Facebook group for parents, contact Sara Cardinal at scardinal@eluumc.org. Background checks are a required part of the volunteer application process for all adults and youth who are in contact with children. All children need to have up-to-date registration forms on hand to provide staff with vital medical and security information. Copies of registration forms for children are available as well as copies of our Safe Sanctuaries policy. This week of summer fun typically runs in the 3rd week of June, Monday through Friday from 9:00 a.m. to Noon. Children, ages toddler through 6th grade, are welcomed to experience Bible stories come to life through creative play and worship. Children will learn music, create unique artwork, play games, and enjoy a mid-morning snack. Students ages 5th through 6th grades will be given the opportunity for a youth group experience, including Bible study, games, and mini mission projects. Keep your eyes open for online registration to be available on the website starting in April. 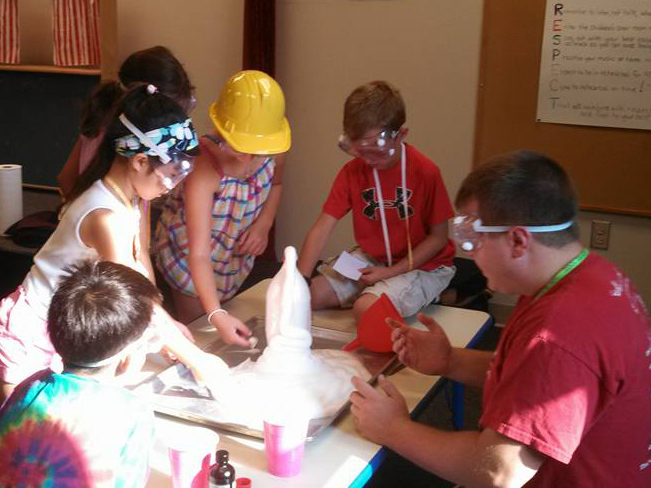 Youth Group is offered for ages 5th through 12th grade every Sunday (September through May). We eat lunch together and then break into middle school and high school groups for our Bible Study and discussion time. Often throughout the year, we will hold combined special events which include service projects, game days, and day trips. We focus on creating a space where it is safe to ask the big questions for students who are learning to think critically about their relationship with God. Biblical literacy, social justice, and inclusive community are foundational to our program. To be added to the private Facebook group or the parent’s mailing list, please email Sara at scardinal@eluumc.org. Throughout the year, there are special travel opportunities offered to students in the youth program. Winter Retreat is a weekend getaway held in collaboration with other area ecumenical youth groups. Each year the weekend holds a specific theme, and we spend our time balanced between learning and play. It offers the students a unique opportunity to step away from the rapid pace of their daily lives and focus on their faith. This event is available to all students 5th through 12th grades. 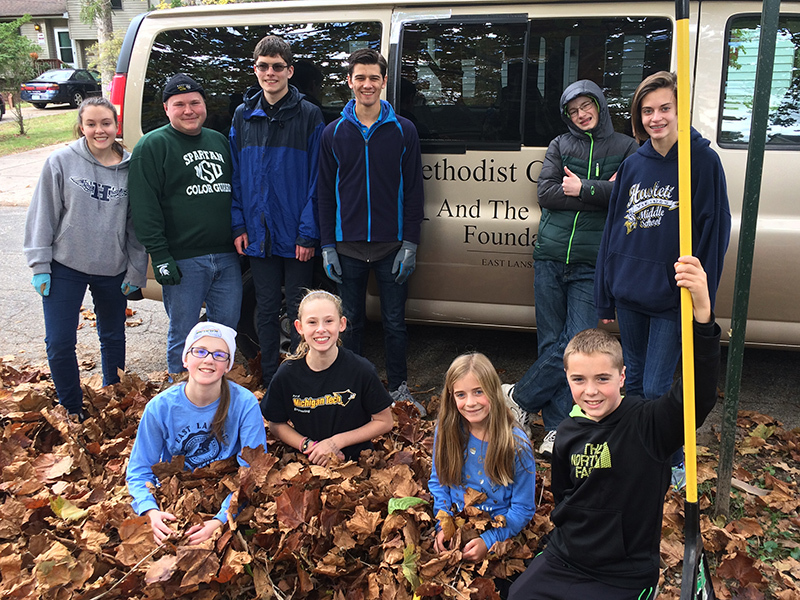 Mission Trip is open to students who have completed 8th grade through 12th grade and who have the desire to be the hands and feet of Jesus. Each year, with the input of the students, a work trip is organized and the youth offer a week of service to different communities in need. Mission Trips are often local to Michigan, but every few years a larger trip is taken. Students, with the help of the adult leaders, are responsible for fundraising the money needed for their mission trip experience. Mission trips are often curated to match the skills and interests of the particular group of students. Work has varied from hard manual labor with sledge hammers and wire cutters, to playing bingo with the elderly, to learning about social justice issues in our church. Confirmation is offered every other year to students 7th grade through 12th grade. Confirmation is a chance for students to learn about the history of the Methodist church, to understand our traditions and sacraments, and to experience what living as the Church is all about. 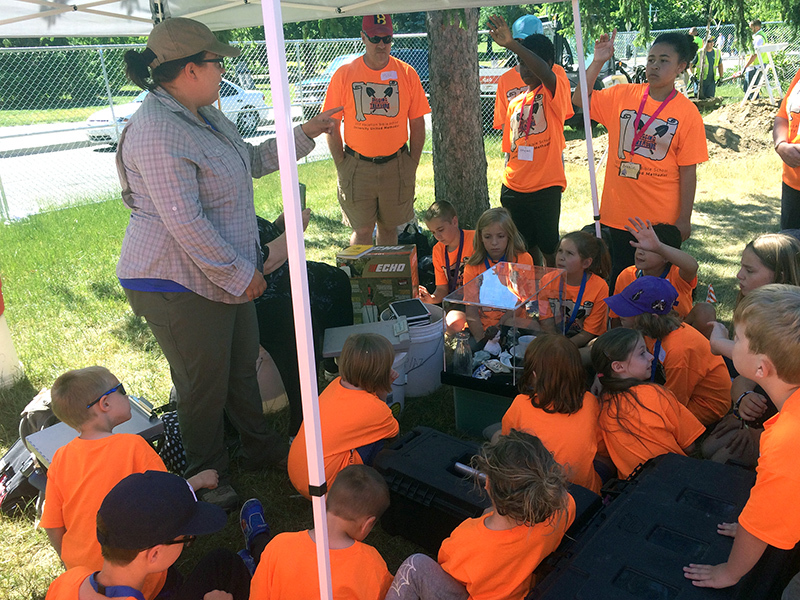 This class is a combination of classroom study and field trips. At the end of the course, should they so choose, students are invited into full membership of the church. Please visit our Communion and Baptisms page for more information.